A recent busy Saturday called for a chilled out casual look. 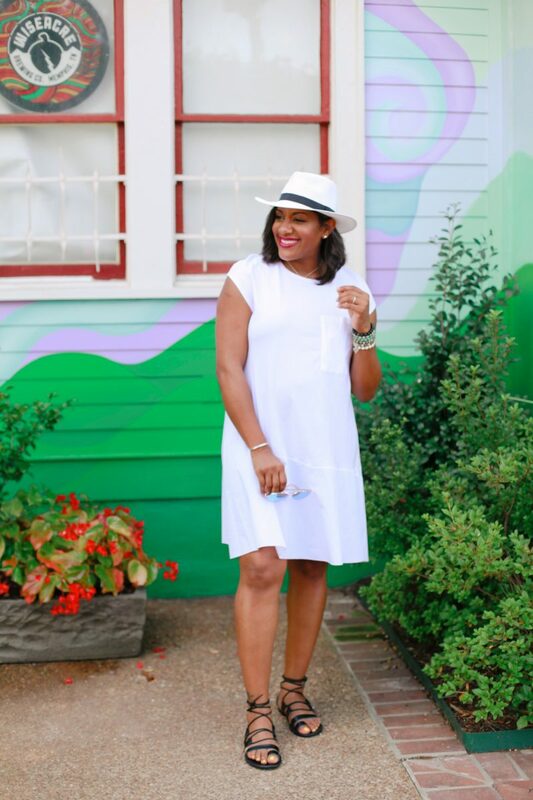 This summer is truly a scorcher and white is about the coolest thing to wear. 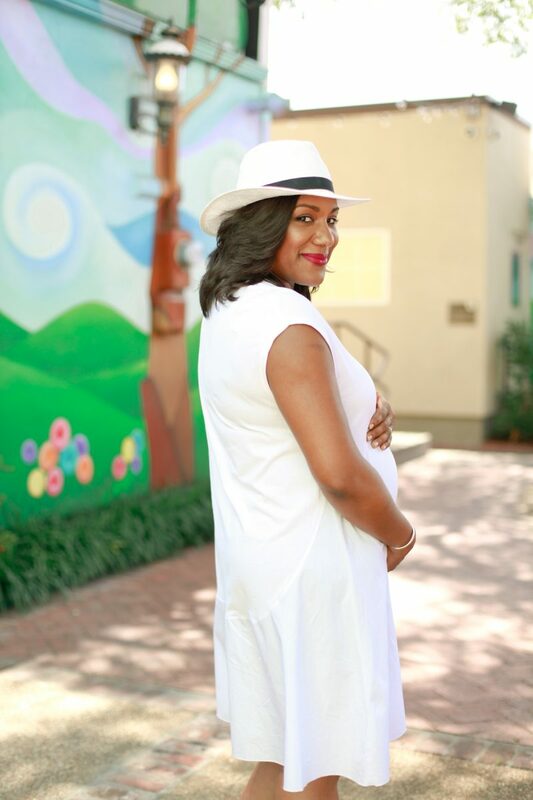 This dress is very loose and was perfect for my ladybug’s bump AND running around with the sun beaming on my back. 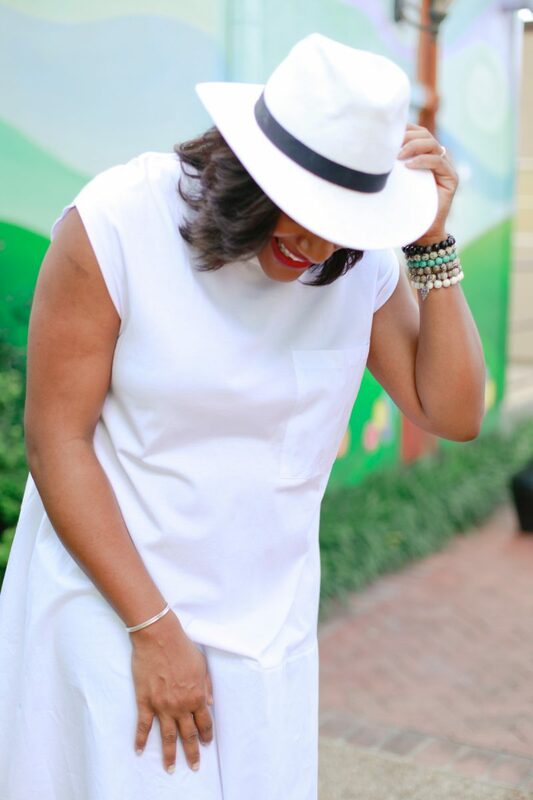 A white straw fedora, black gladiator sandals, and a beaded bracelet stack added the finishing touches, and my little ladybug and I were off to the Naturals in the City Expo and beyond. Easy and cool yet minimal and chic. What do you think? 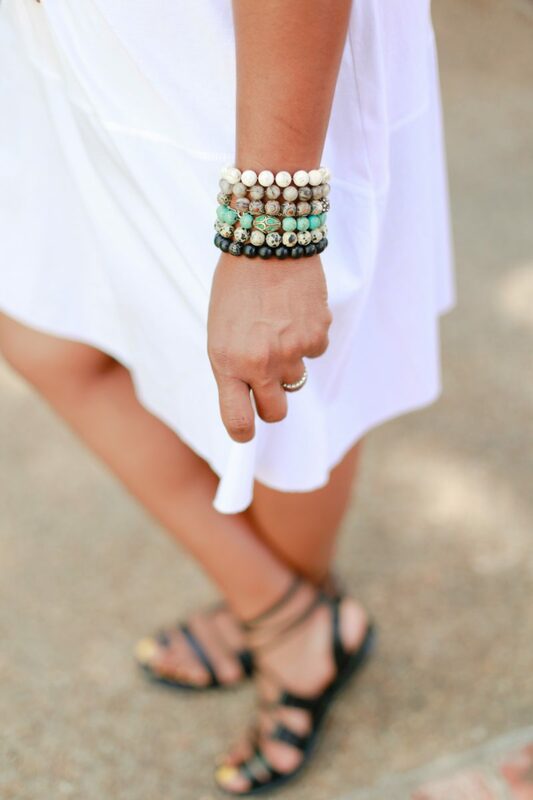 According to Q, grab a white dress and some cool accessories to beat this brutal summer heat. 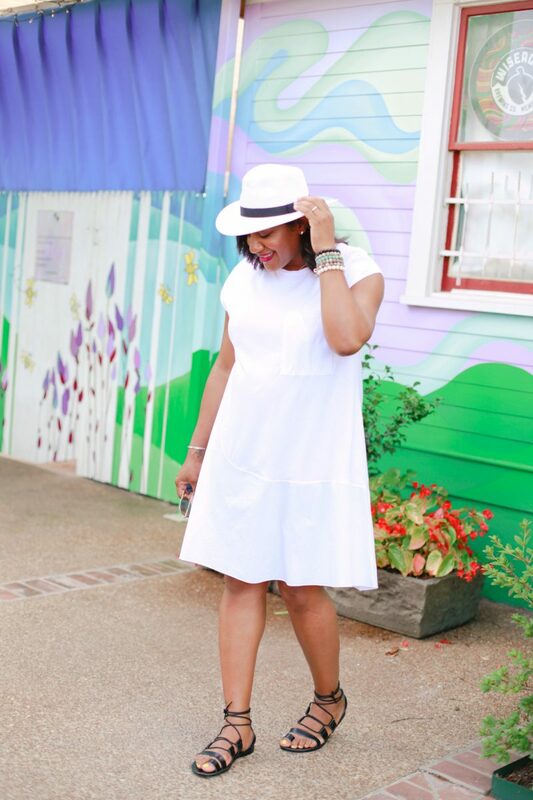 This outfit is perfect for weekends and stylish busy moms. The minimalist look is easy and comfortable, but still makes a statement. Try it! Cheers to minimalistic chic and the black and white that never lets us down! Easy and stylish!!!! Looks effortless, yet classy! Just the way I like it! 😉. Thanks sis! Love it. You look gorgeous and comfortable. It was very comfortable. Thank you! I’ve found over the years I definitely have a minimalist approach to style. I love it! Ya’ll are too cute btw!! !